Vincent Painting Contractors delivers high quality projects through high quality service. This is what attracts and retains the best, and converts projects into partnerships. 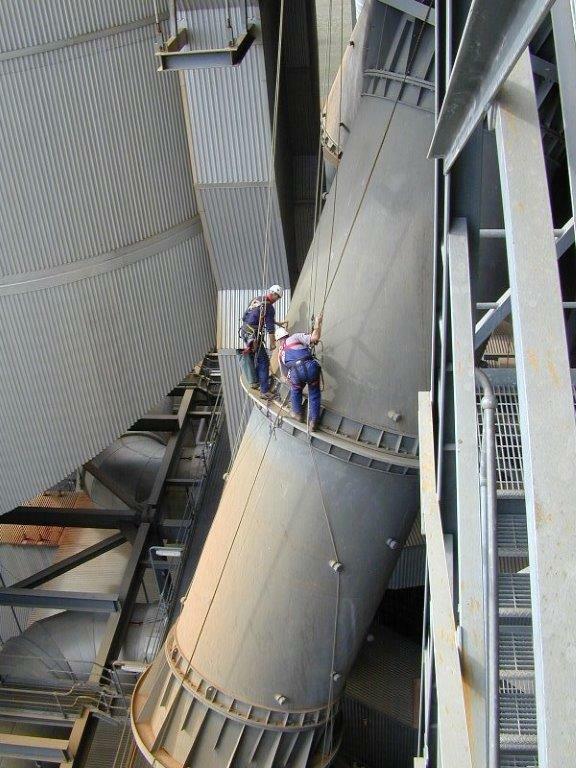 We provide surface preparation and protective coatings that add value to our customers assets. We are recognised as a leader in industrial coatings application, providing solutions for our clients through consultation and experience. We have been supplying our quality service since 1995 and our commitment to working safely, completing our projects on time and within budget, has seen us establish many long term business relationships. We develop the smartest solutions to meet our clients’ unique project requirements. Our clients gain the benefit of our vast knowledge, experience and up to date equipment. Paul Leek is our workshop supervisor, he has extensive experience applying coatings to all facets of the Oil and Gas Industry. Some of the projects that he has worked on in his 27 years in the abrasive blasting and protective coatings industry are all of the structural and pressure pipes for retro fitting on all oil rigs, Long Island Point, the Longford gas plant and the KTT project. Paul has also worked extensively for local fabrication companies BMC, TOP, Trustweld and Skelfab that supply the oil and gas industry. Vincent Painting Contractors is committed to employing local people: we employ apprentices every year and continue to provide a platform for our staff to deliver industry-leading sustainable outcomes, whilst ensuring that project activities progress with minimal disruption to communities and the environment. Our large workforce capacity gives us great confidence to take on challenging and ambitious projects and gives our clients peace of mind that we will see things through. Our two large workshops and 10 acres of hardstanding areas gives us the flexibility to take on large projects concurrently. Our size and experience ensures fast mobilisation of teams and on-time delivery within budget and to the highest standards of quality and safety. We remain focused on setting new benchmarks and continuously improving our performance. We encourage apprenticeships and we are renowned for providing support for local charities and community needs. We encourage the active involvement of all team members because we know that valued and engaged people create the best ideas – whether smarter work practices, inventive equipment or best-in-class project approaches. Through our continuous improvement processes, every opportunity is taken to ensure safer work environments, better outcomes and more effective project management. We aim for excellence – in our workforce, community relations, environmental management, workplace health and safety and financial performance. This is how we create rewarding careers for our people and value for our clients and partners, contributing to a strong, competitive and sustainable company.